This pissed me off. I've been inside so many time, but of course this time, it was locked up tight. 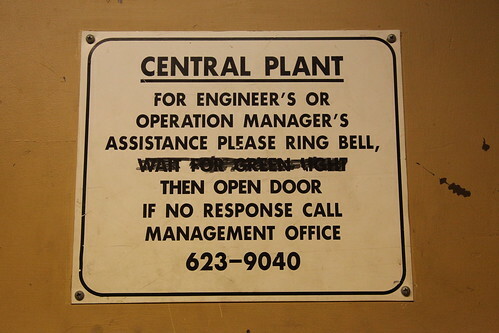 The sign reads, "For engineer's or operation manager's assistance please ring bell, wait for green light, then open door. 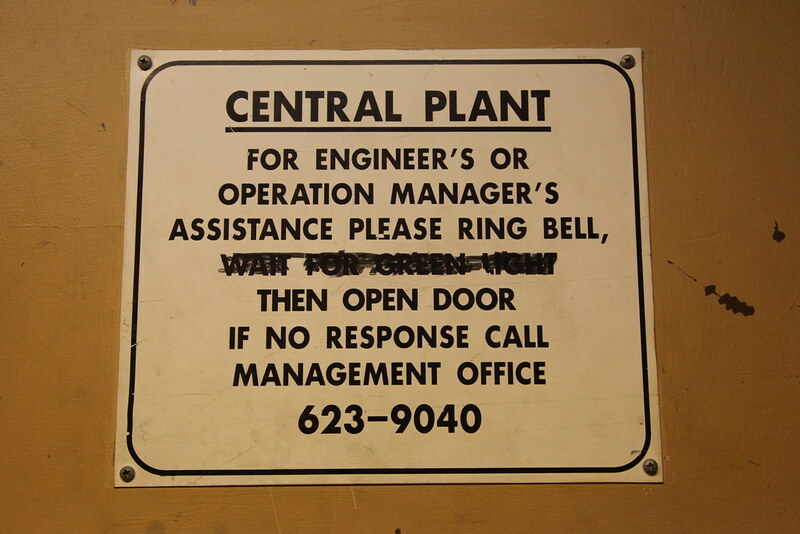 If no response call management office, 623-9040." As the size of the employment rolls dwindled, they shifted away from the buzzer system and used key control. The central plant area housed the boilers and electric mains.